A few weeks back, we wondered aloud if the Detroit automakers would throw some change in the collection plate for the Detroit Institute of Arts, which was in trouble due to the city's bankruptcy. They have, donating enough to buttress an already strong safeguard against liquidating the museum's assets. 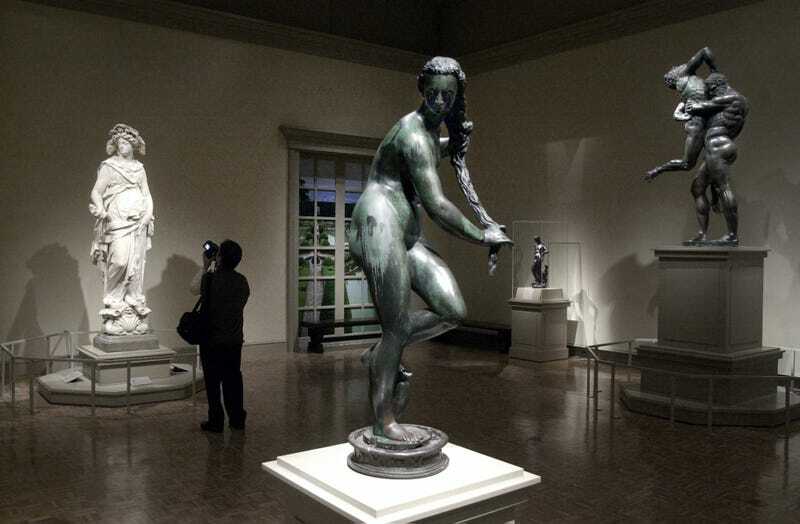 Could Ford, Chrysler And GM Bail Out Detroit&apos;s Art Museum? An official announcement is forthcoming later today, but WDIV and The Detroit News both report that Ford, Chrysler and General Motors have each contributed a large sum to the DIA, which is looking to raise enough funds to break free from city oversight. Becoming independent from the city of Detroit — but still remaining in the city, of course — would shield it from any implications of bankruptcy. General Motors Co. and Ford Motor Co., through their charitable foundations, are expected to make contributions of $10 million each toward the effort to protect the DIA art collection in Detroit's bankruptcy and Chrysler Group LLC has committed a $6 million donation, sources told The Detroit News on Friday. It's not just the Detroit Three, though. Although an overly simplistic way of explaining things would be that a bunch of wealthy foundations opened their pocketbook and voila! the art is saved, but as we explained before, it takes a number of steps — many of which were taken in the last few weeks. Last week, Michigan lawmakers approved what we call the "grand bargain," which opens up $195 million in state funds to not only aid payments to pensioners, but also add to the DIA's pot. The DIA still will raise $100 million of its own funds over the next 20 years, but it has also raised more than $300 million funds from foundations and other outside interests. When the dust settles, the DIA will become a nonprofit. And that's how a bankrupt city keeps from liquidating its most valuable assets. Now stop asking.